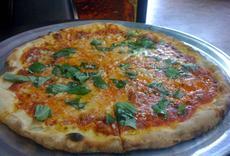 A Brooklyn pizza tour has hit the big time. Slice of Brooklyn was seen on TV’s Travel Channel Wednesday night, but tourists can sample wares and hear the history of Brooklyn pizza-making Fridays through Mondays. Tony Muia’s A Slice of Brooklyn tours depart from Union Square in Manhattan, take 4.5 hours and include movie lore, stops to view the Brooklyn Bridge and Brighton Beach areas and more. They cost $75 for adults, $65 for kids, and you get two slices and a soft drink at each stop. There are only two pizzerias on the tour — which is too bad, since Brooklyn is a hub of pizza-making. One of the stops is Grimaldi’s Pizzeria, sometimes called “the pizza that made Brooklyn famous” (it has other locations, too). Its mouth-watering thin-crusted pies drip with cheese. The other is L & B Spumoni Gardens, with Sicilian-style pizza. My colleague Ben Abramson recently made a pizza trek to Brooklyn to stand in line for the pie at Di Fara Pizza. “Spectacular,” he says of biting into one with a three-cheese blend topped with fresh basil hand-cut with scissors. Meanwhile, a Travel Channel spokeswoman says a second Slice of Brooklyn episode hasn’t been slotted yet, but I’ll update if I hear anything. 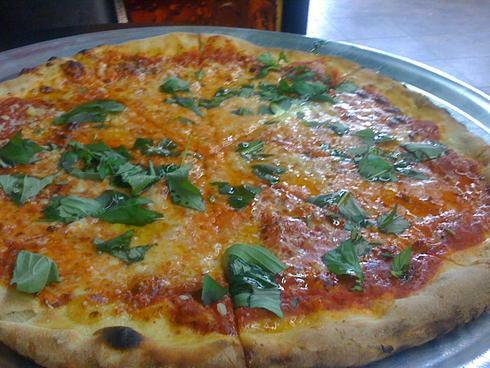 So, what’s your favorite pizza in New York City and why?